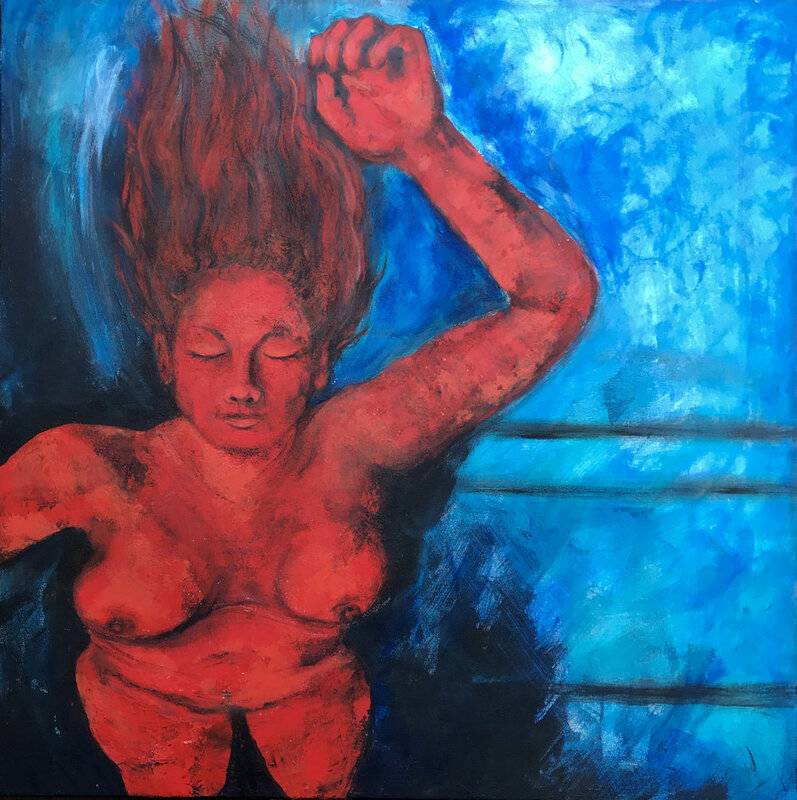 I am a painter working in multiple mediums–primarily encaustic, cold wax, and acrylic–exploring abstract textures, the figure, and the space between. I am based in Portland, Oregon in a studio custom-built for encaustic painting. I teach small group and one-on-one workshops customized to the level of the participants. My workshops can touch on all aspects of encaustic, from introducing the medium to specialized techniques. My work is a symbolic narrative process. It is a progression of disentanglement, a developing of a story, layer by layer. It is only upon coming closer and becoming intimate that one experiences the intricate textures, subtle imagery, hidden text and imperfections that make up the whole. Secrets are hidden within the layers, embedded truths expressed and hidden again in this visceral journey.